Castlevania is a popular game series from Konami featuring vampire hunting as its main gameplay with the legendary vampire king: Dracula as the eternity final boss. It's has many sequel following subplot and vampire hunter generations released since video game was still black and white. And Aria of Sorrow on Gameboy Advance (GBA), is recognized by the fans as one of best sequel to Castlevania game history. genre RPG (Role Playing Game), Platform, Action. Castlevania Aria of Sorrow is a platformer action RPG originally released on Gameboy Advance. 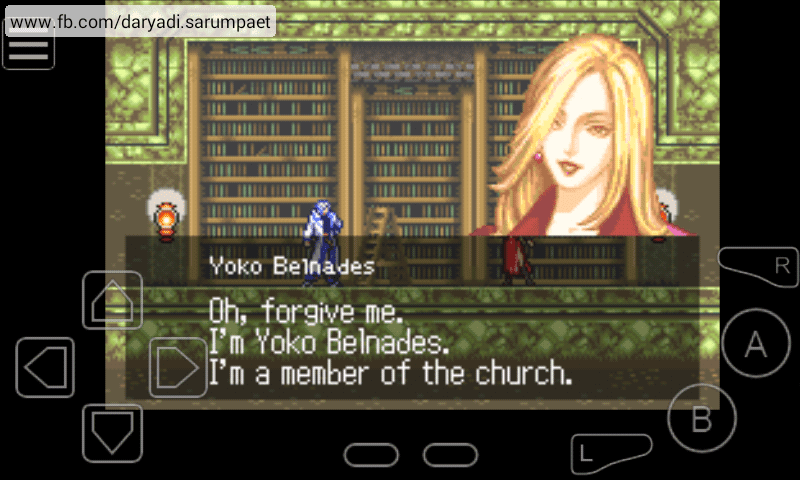 Actually, Aria of Sorrow is the one who introduced me to Castlevania vampire hunting world. Forget about killing Dracula, because you yourself now is a candidate of host of Dracula's reincarnation. Use the bestowed Power of Dominance inside you to fight againts this fate! I still remember the first time I played this game on my old Java mobile phone. 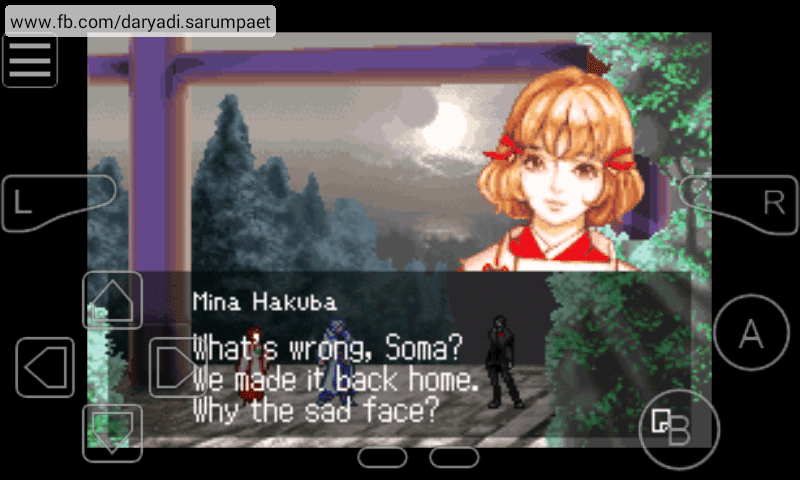 There are some minor differences between the mobile phone and GameBoy Advance version, like mobile version doesn't have character dialogues and Soma movement is more stiff. 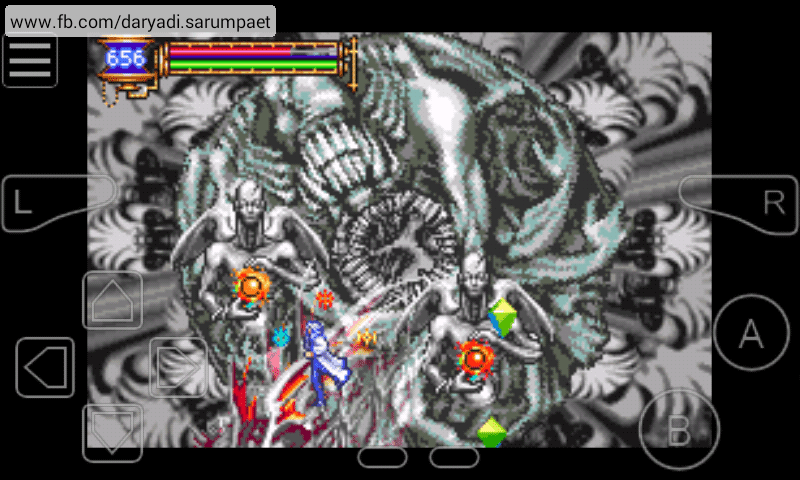 And, there is no Julius mode in mobile phone version. 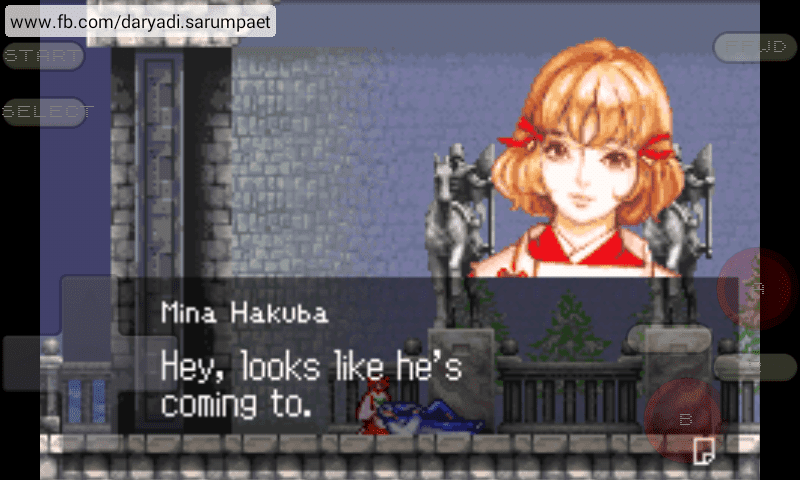 Castlevania Aria of Sorrow GBA is the real RPG game. Dozens of Weapons, armors, items, and skills, secrets, are what will make every RPG lovers also love this game. The best feature for me is the so called called 'Tactical Soul System'. Every monster has it's skill, and the skills can be acquired to be used. Though it's not easy to acquire monster skills, as higher skill has fewer odds we can get it. This game also has multiple endings we can achieve based on how our journey. To be honest, I even cannot figure out how to get the true ending if it was not because Google :D .
The year is now 2035 where the next solar eclipse is about take event in Japan. Soma Cruz who is a foreigner initially came to Japan as transfer student, found himself suddenly inside Dracula's castle, the Castlevania. Strange events happened rapidly and it is revealed that Soma's present in Dracula's castle is nothing but a fate where he is the host of the next Dracula's reincarnation. So, will Soma be able to find a way out from this fate and abolish the revival of the dark lord? Note=You have to have the Double Jump ability turned on. Note=Combines attributes Black Panther, Final Guard, Undine (default) and Skula (hold DOWN+JUMP to walk underwater). Note=Enter Map screen, then press START+UP to access Warp Gates. Note=Save your game with this code on to access the Boss Mode. Note=Press R+B+UP when in front of the Mist Door to open it. 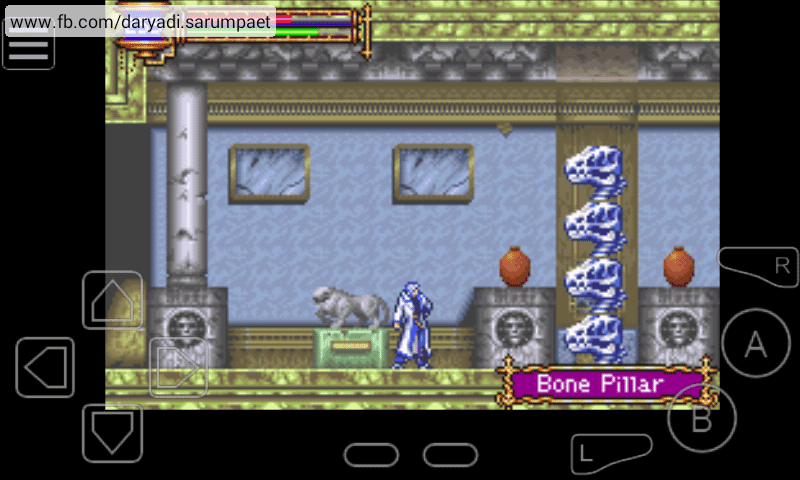 Comments (0) in "Castlevania Aria of Sorrow GBA Game on Emulator"